If you’re experiencing problems installing the latest Azure PowerShell cmdlets (0.8.0 – 04/03/2014) after installing Windows Management Framework v5.0 Preview (WMF) then don’t worry. 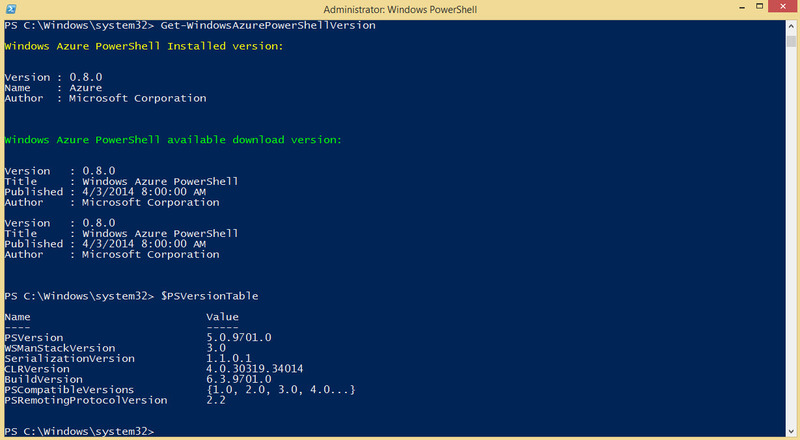 You can go back the uninstall the WMF v5.0 Preview, then proceed to download/install the recent *Azure PowerShell cmdlets, and go back to re-install the WMF v5.0 Preview. It will back be working like nothing happened. *Note: I’m this steps may need to be repeated until WMF v5.0 becomes RTM.